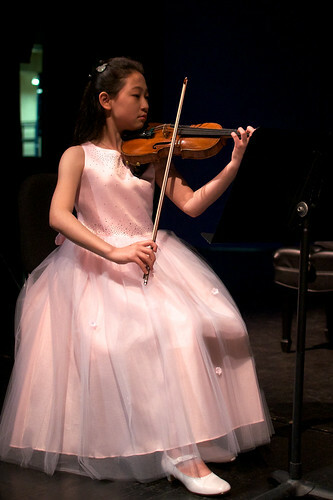 The Brioso Trio featuring Hannah Ryu, violin, age 11 from Lexington, Massachusetts, Evan Hsu, cello, age 12 from Chestnut Hill, Massachusetts, and Andrew Li, piano, age 13 from Lexington, Massachusetts. Performing I. Allegro from the Piano Trio in C major, Hob. XV:27 by Franz Joseph Haydn (1732-1809).